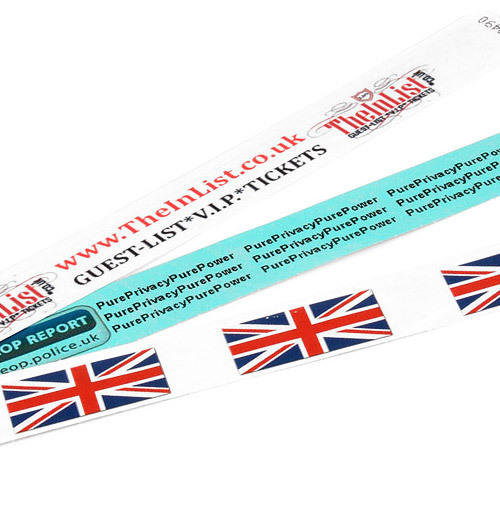 Design Your Own Tyvek Wristbands & Order Online. 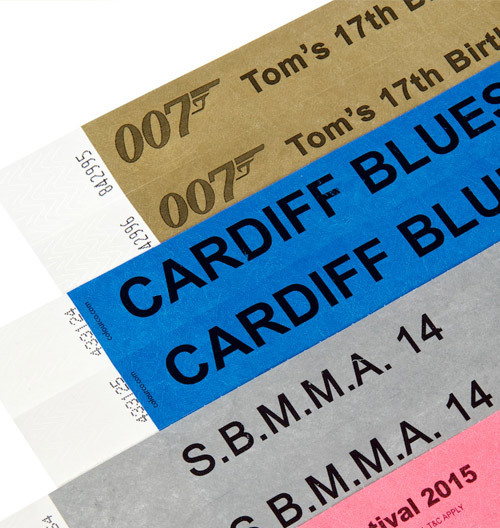 Design and buy high quality, full or single colour printed tyvek wristbands using our easy to use design wizard. Get a quote buy clicking on the quantity you want and go to the cart to see the total cost. Then email us details of your design or alternatively send your artwork to us in the specification required. 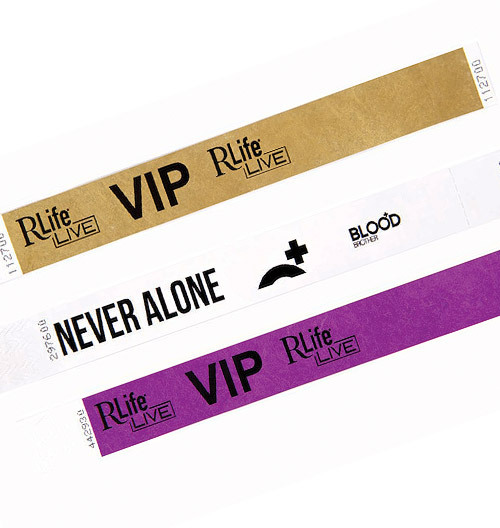 Tyvek wristbands are a great option for single use, one day events and can easily replace tickets while allowing restrictied access to events or VIP areas. Tyvek is made out of a synthetic material and is impossible to tear, in fact it has to be cut off or ripped apart at the adhesive tab. 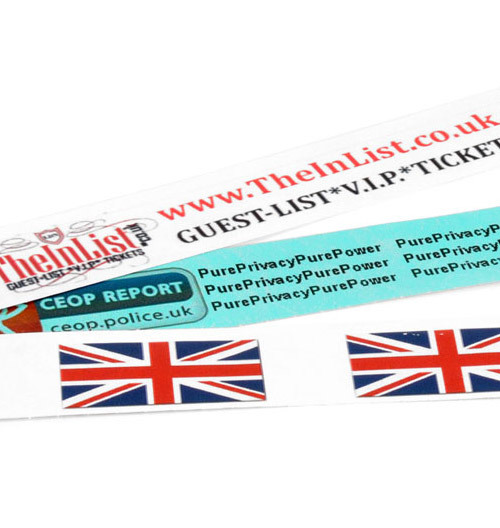 It is water resistant and can be easily printed on to customise the wristband and the least expensive option for event identification and access to areas. Simple, fast efficient, Tyvek has been used for events for many years successfully. If you require any help or advice please get in touch with one of our Team as they are always willing to help. Choose below which tyvek wristband you require.